Vertigo is a solid thriller, with an incredible twist that catches most viewers off guard. The film is almost always included by reviewers as one of the best American films ever made and some even suggest it is the best American film ever. I don’t know what film those people watched, but like a lot of films it likely gets better the more you think about it afterward. I did some reading about the film after viewing it last night to see what all the fuss was about, and much of it centers on the themes rather than the plot. In that retrospect, and in an Academic sense, the film does indeed deal with several key issues not the least of which is society’s manipulation of and abuse of women. Vertigo centers on John “Scottie” Ferguson, a retired cop who unbeknownst to him is set up by an old college buddy to play a role in a crime. Of course, the crime is perpetrated upon a woman and even after the deed is done Scottie himself takes advantage of a woman’s love to its sordid and unfortunate conclusion. Even the subplot, the suicide of a woman 100 years earlier, is misogynistic. The film is all about the manipulation and destruction of women! Which brings us to Mr. Hitchcock himself. 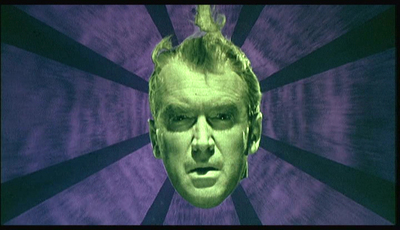 Some critics believe Vertigo is a self-analysis of Hitchcock himself, with the Jimmy Stewart character as Hitchcock. If so, is Hitchcock self-aware of his misogyny or is the film a critique of those who criticize him? I’m not sure, but there is certainly a lot written about it on the Internets. One thing that is clear is that in many of Hitchcock’s films his lead female characters are icy cold women to whom bad things happen. This is clearly the case in Vertigo with the demise of both Madeleine and Judy and god only knows what Hitchcock is trying to say about manipulative women with the mother in Psycho! I’ll give him this much, he sure knows how to pick gorgeous women to star in his films. Kim Novak is stunning in Vertigo (both playing Judy and Madeleine) and I gushed about Eva Marie Saint in North by Northwest. But without question his most beautiful star, and for my money one of the most beautiful actresses of all time, is Grace Kelly who not only stars in Rear Window but is also the star of To Catch a Thief and Dial M For Murder. So, what is Hitchcock’s legacy relative to the AFI top 100? His four films on the list is the top performance by a director, so does that make him the best American director according to AFI? I’d say several directors have had better single films, but it’d be hard to argue that Hitchcock didn’t have the greatest portfolio of films ever. My personal opinion is that he’s easily one of the top 10 best directors ever, though I wouldn’t put him at number one. That place is reserved for Martin Scorsese in my book, followed by Woody Allen and Spike Lee. But that’s an argument for another blog post! Good job on “Vertigo,” Len. As you say, Hitchcock’s legacy of great films surely makes him one of the top auteurs even though no one film may be “the best.” “Vertigo” had never been one of my faves — I reserve that for “Rear Window” abd “NxNW” (with “Torn Curtain,” “Psycho” and “The Birds”…”The Birds is coming!”) but I had occasion to watch it again on cable not long ago and got completely caught up in it.